Siquijor is a tiny island located in Central Visayas, Philippines. Rumor has it among locals that witchcraft and other mystical things you didn’t think were real exist in this island. 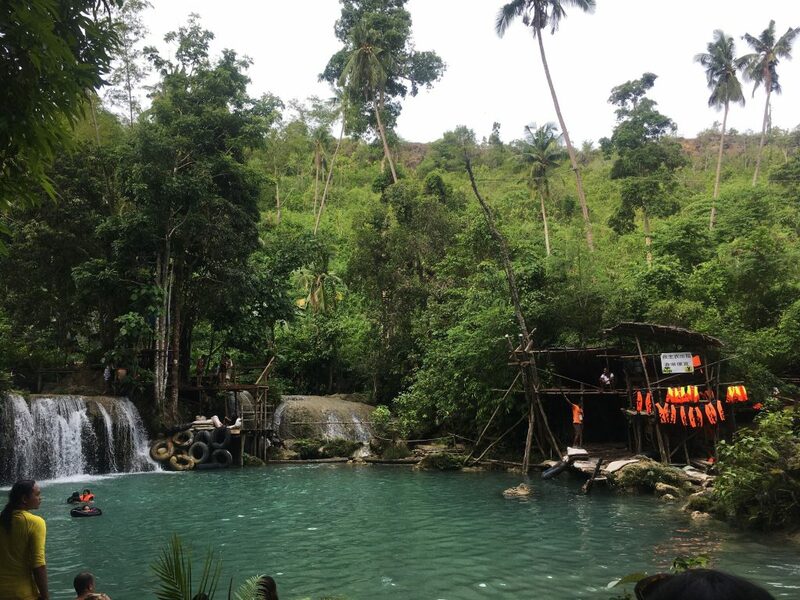 Formerly known as Isla del Fuego (Island of Fire), Siquijor is also known to have what you call in Filipino mangkukulam, which—in folktales—is believed to be a kind of witch that can cast a bad spell on you if you cross them. 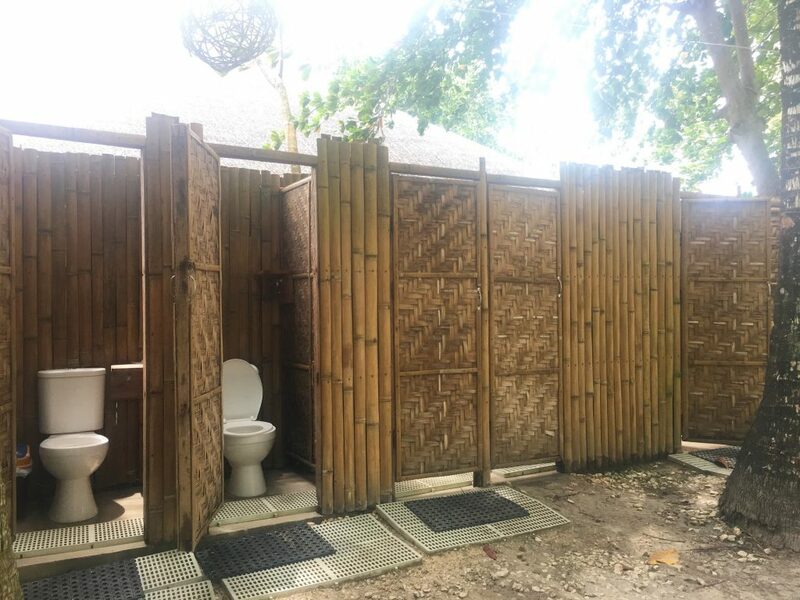 This alone should be a reason why one wouldn’t want to visit this place, but you’d be surprised that the Siquijodnons (the island’s locals) themselves are promoting this very mystifying trait to attract more tourists to visit their province. Now that got you curious, didn’t it? But truth be told, it’s a Philippine province that more people should be raving about—in recent years, many from my circle of friends and the travelers I follow online have visited Siquijor, and that’s why we decided to squeeze in an overnight visit when we had planned a trip to Dumaguete (a city in Negros Oriental). There are no direct flights to Siquijor, by the way—you’d had to take an hour-long flight to Dumaguete and then a ferry ride to Siquijor. 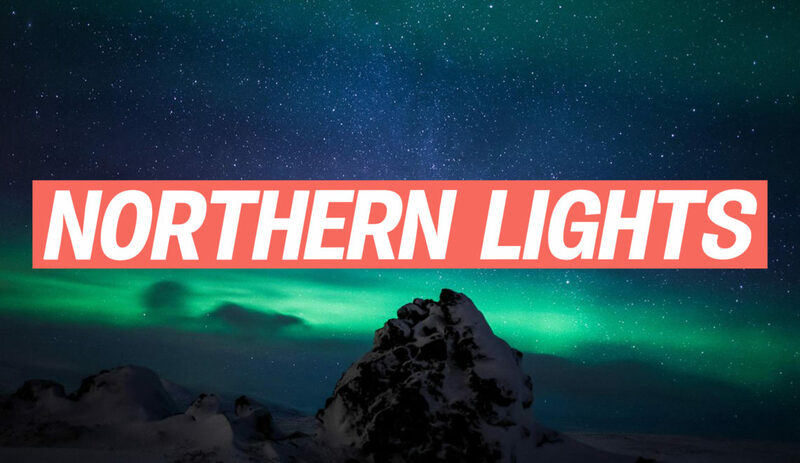 To our surprise, we found this to be a budget-friendly destination, and we’re letting you in on some tips and tricks to make the most out of your overnight trip without breaking the bank. 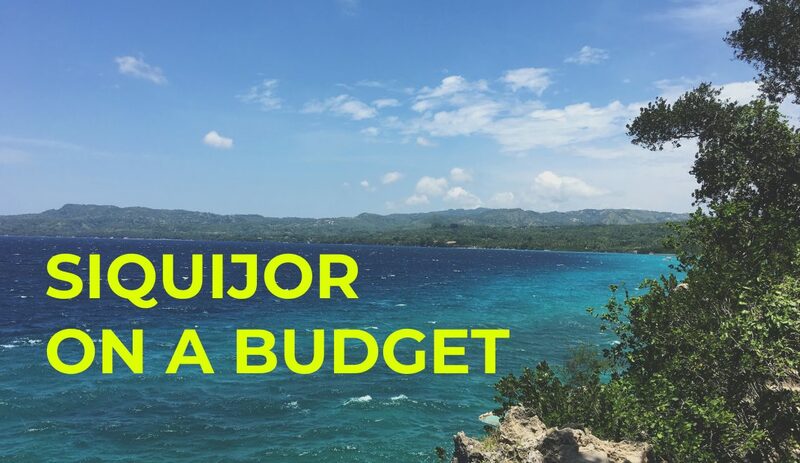 Let’s kick off our budget series and explore Siquijor! 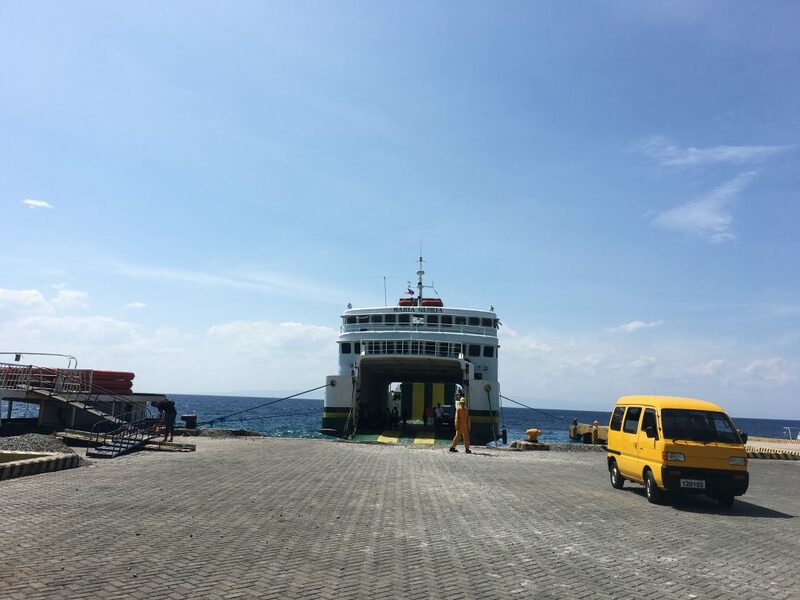 There are different kinds of ferries traveling to Siquijor: there’s the fastjet, which is about an hour of travel, and a normal ferry—or roro, in Filipino speak—wherein cars can be accommodated by the boat and which takes 30 minutes longer than the faster alternative. I traveled with friends and we were a group of five; we touched down Dumaguete at 7AM and rented a van (it’s normal to be greeted by a sea of drivers offering transportation services right outside the airport) for PHP 300 total to get to the port. Once we got there, we took the first ferry out at 8:30AM, the roro one, that costed us PHP 140 each. We finally reached Siquijor at 10AM. The mode of transportation when you get to the land is a tricycle, which can actually fit a group of five. We took one right away outside the port, mad excited to get to our accommodation. The trip costed us PHP 250 total. 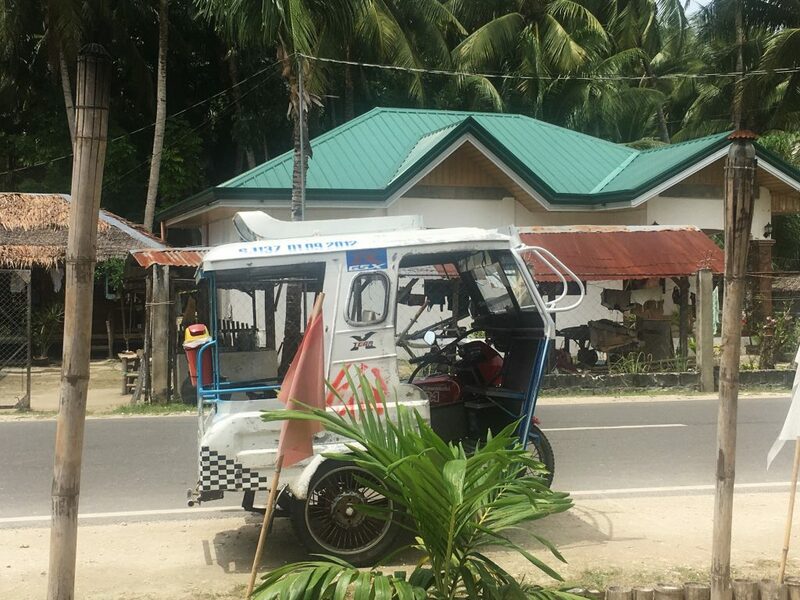 If you plan to do the tours, an easy way to do it is to rent a tricycle for the day that should cost you around PHP 1,200 or less. We managed to haggle and just paid PHP 1,000 for our first day of tour, which included two destinations. We also booked the same driver the next day, and negotiated the price down to PHP 700 to 800 to go to a far destination (an hour-and-a-half ride) and to drive us back to the port after. So make sure the dude in your squad who’s excellent in bargaining is the one dealing with the drivers to get the best prices. 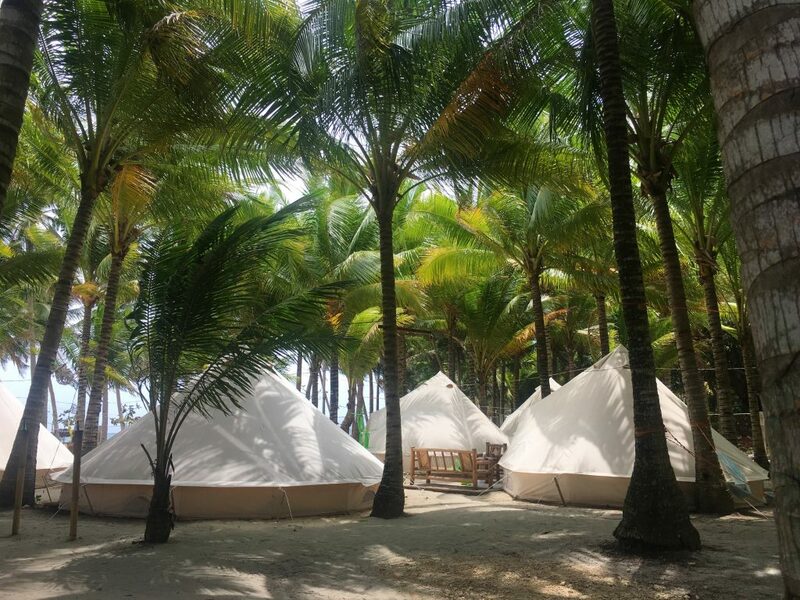 We stayed in Glamping Siquijor by the Beach, and booked a tent that costed PHP 5,000 a night and accommodated up to six people. 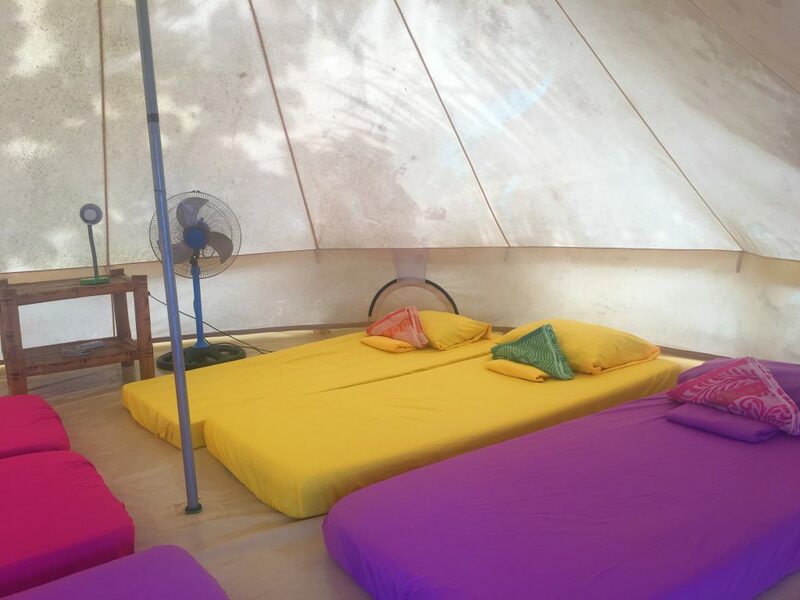 It’s a huge tent with six beds and an electric fan, and it’s pretty spacious. The location is beachfront and the tents are made really nice. All bathrooms are communal, but clean. 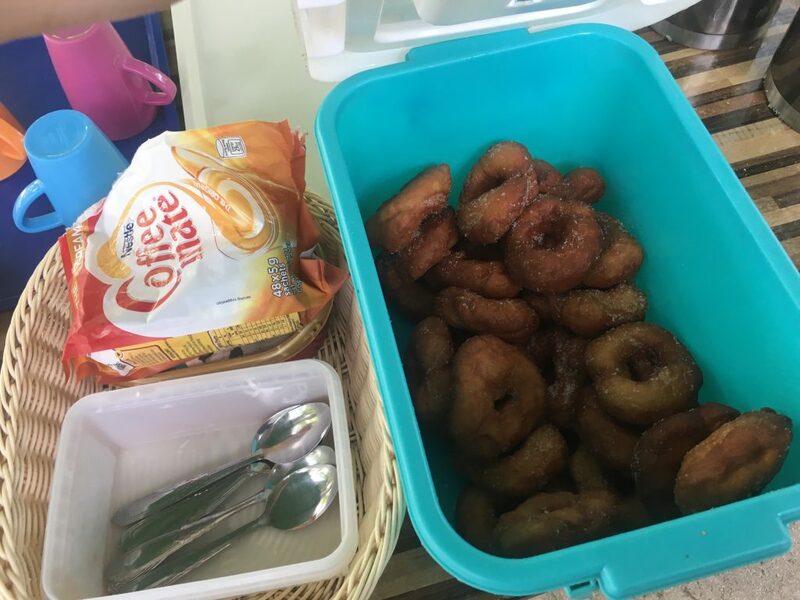 They serve free coffee and donuts all day round. Yes, free! There’s a also a nice common area where you can grill your own food. That time we went it was extra breezy, so weather was no issue. 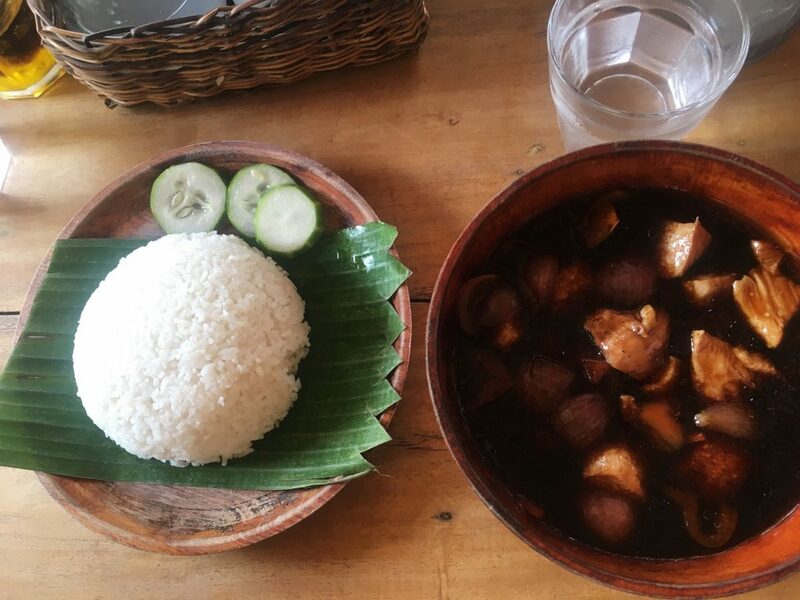 There’s tons of typical Filipino food eateries around where you can spend as low as PHP 150 to 200 each for a decent meal. 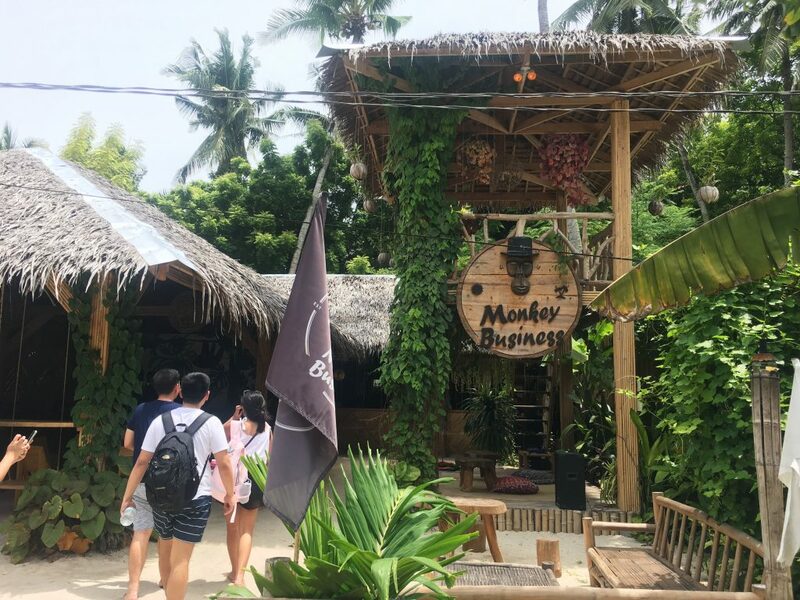 We tried one of the famous spots in the island called Monkey Business, which was quite on the pricier side (or maybe we just ordered a bunch of food too?). 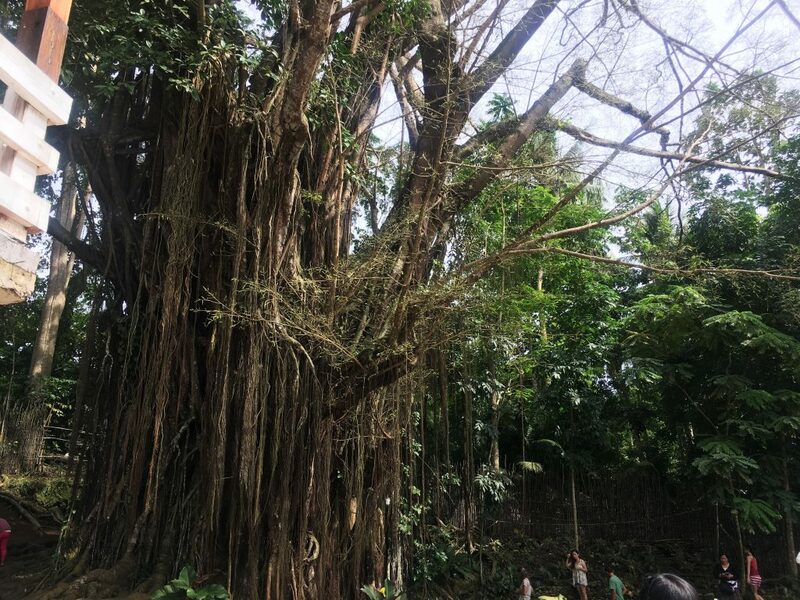 The places we went to were the Huge Balete Tree which had a fish spa. There’s a PHP 20 environmental fee. Then we went to Cambugahay Falls, where you can swing into the light blue waters or enjoy different levels of tiny pools created by the waterfalls. The falls didn’t have an entrance fee. 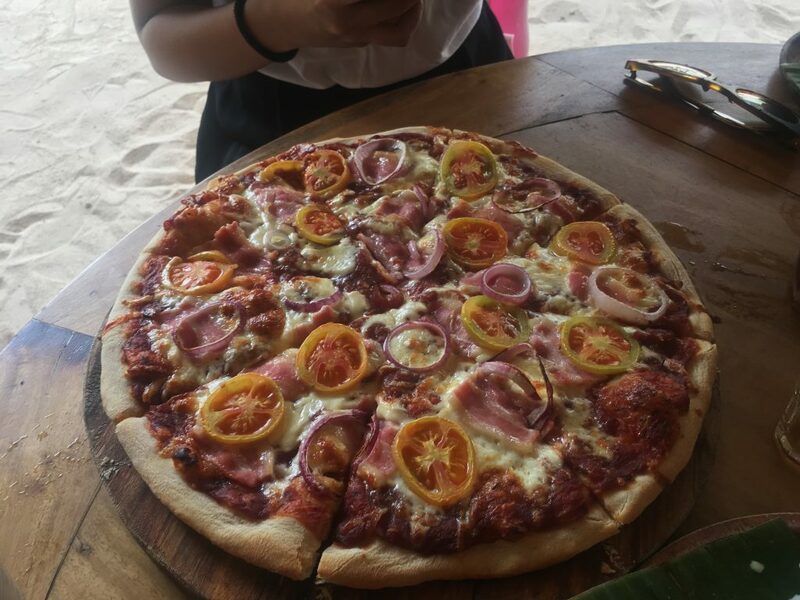 On our last day, we went to Salagdoong Beach. It’s famous for its clear waters, white sand and a spot where you can cliff dive. There’s a PHP 75 entrance fee. So overall, we just spent a total of PHP 2,500 to 3,000 each on this trip, excluding the plane fare. Our verdict? 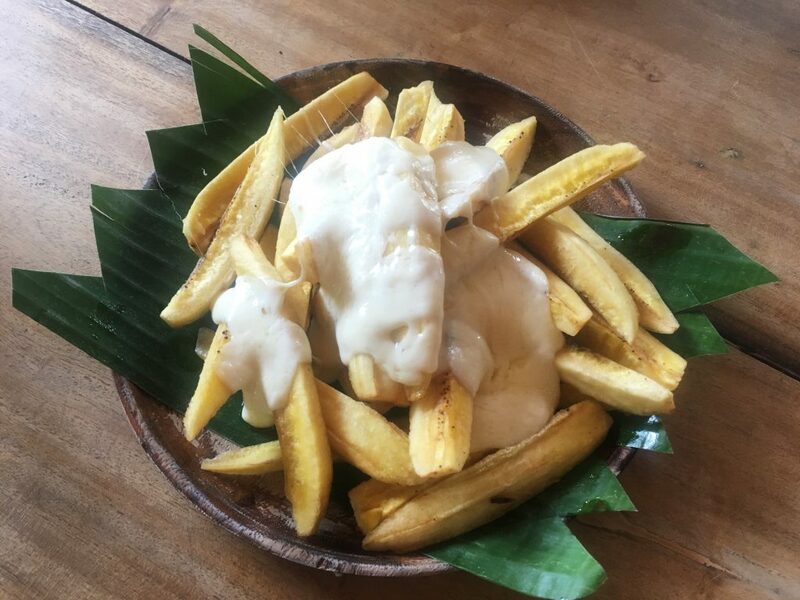 This is obviously a great travel destination that’s worth a visit if you and your buddies want something that’s budget friendly. 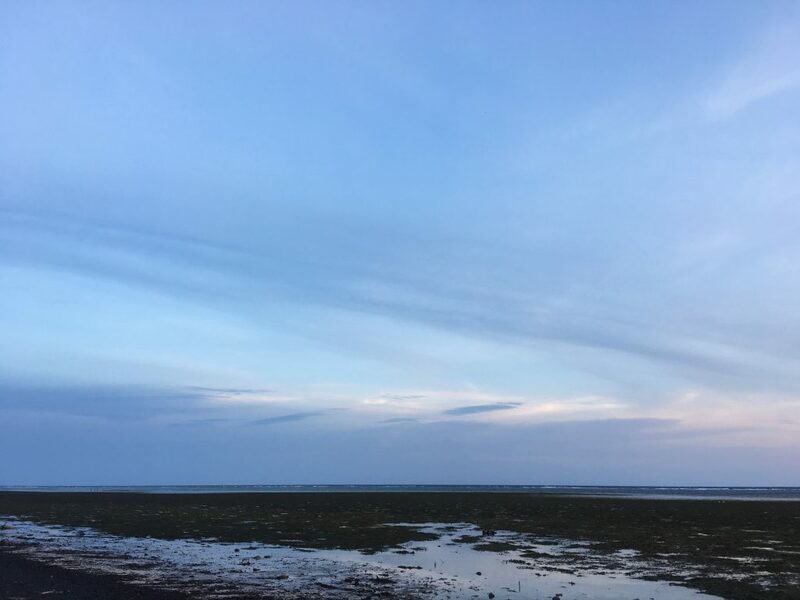 But other than that, it’s a beautiful island that actually offers more beaches and attractions, like the Paliton Beach and Lugnason Falls, which unfortunately didn’t make it our itinerary due to the time constraints. Given the chance, I’d love to go back and stay longer, and explore the place more. 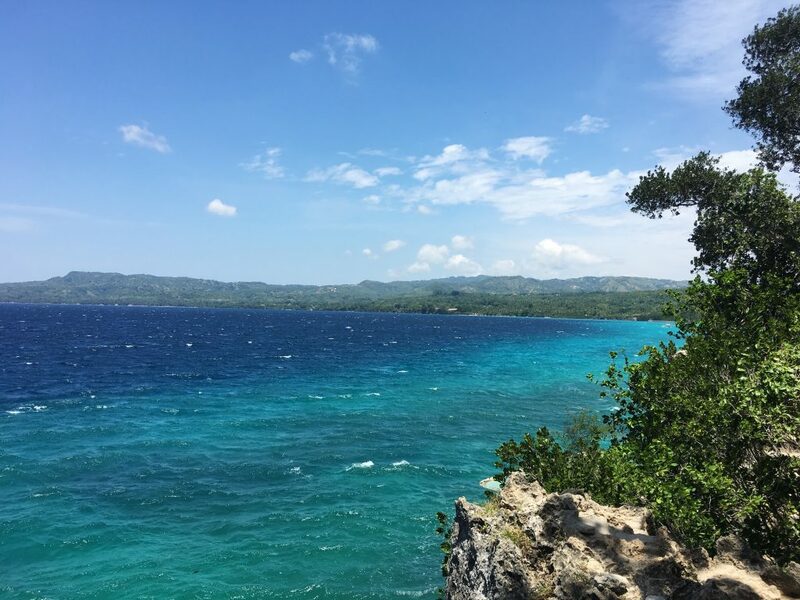 Have you been to Siquijor? Share with us your experience below!